Test your Jane Badler expertise here! 1. What song did Jane sing at the Miss America Pageant? 2. What other actress was being considered for the part of Diana on V? 3. How many sisters does Jane have? 4. What was Jane's character's name on Cluedo? 5. How many seasons did the new Mission: Impossible last? 6. T or F: Jane did commercials for Arid Extra Dry, Kmart and Playtex Bras. 7. What was Diana's official title when the Visitors first landed on Earth? 8. T or F: Diana designed the conversion process. 9. T or F: Diana innoculated the Visitors against all Earth diseases. 10. Name three actors/characters that Diana kissed on any V segment. 11. 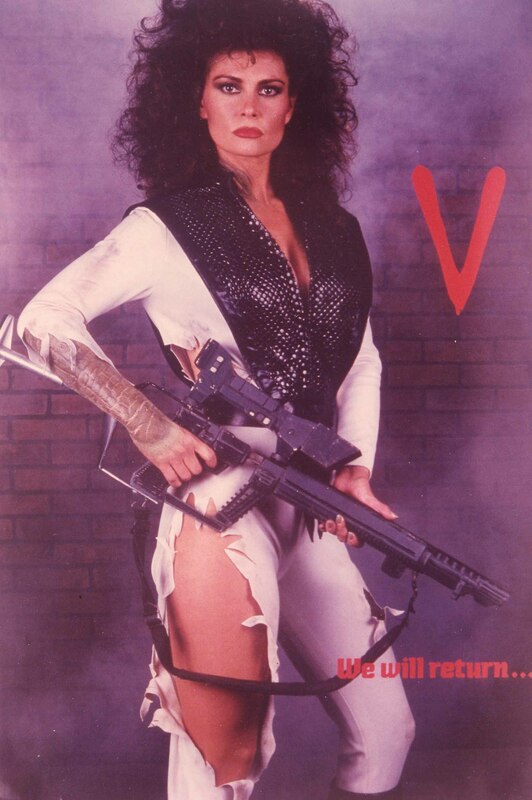 T or F: The Pinnacle Book: The Persuit of Diana chronicled the first episode of V: The Series.